With the 2016 Africa Women’s Nations Cup already underway in Cameroon, Nigeria’s Super Falcons will begin their quest of retaining the title as they face Mali in their opening group B match at the Stade Municipal de Limbe on Sunday, with the maximum points their main target. 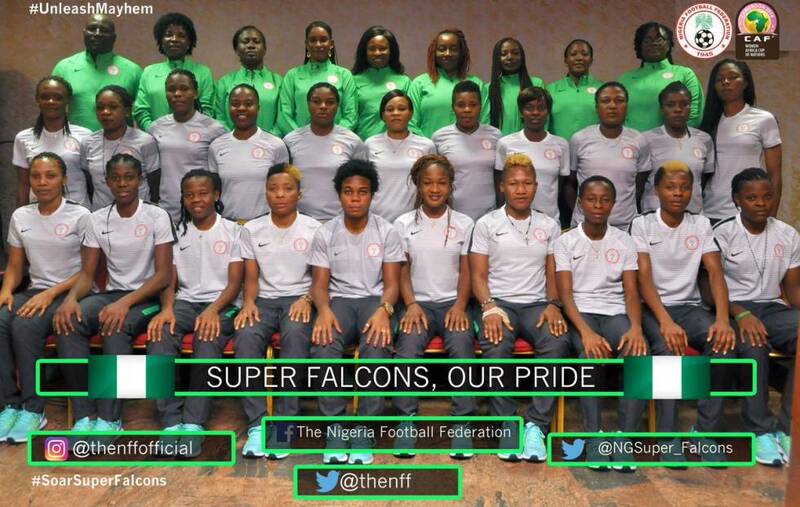 The team which is coached by former Falcons midfielder, Florence Omagbemi will be hoping to emulate her predecessor in a group that consists of Mali, Kenya and arch rivals, Ghana. Being the most successful team at the tournament, having won the title nine times, Nigeria, with players blessed with experience and talent such as Arsenal’s Asisat Oshoala, Guimpamg’s Desire Oparanozie, Washington Spirit’s Francisca Ordega, FC Minsk’s Halimatu Ayinde, PSag’s Ebere Ngozi, Belediyespor’s Esther Sunday, Umeå IK’s Rita Chikwelu, Piteå IF’s Faith Ikidi, Vittsjö GIK’s Ngozi Okobi and a few to mention. A win for the team would boost their moral ahead a potential cracker against a Ghana side that has always pose a threat to the Super Falcons recently.